A few weeks ago a friend told me about the Mussel Madness deal at Loch Fyne; after 6pm every Tuesday you can enjoy a drink, fries and unlimited supply of mussels in a variety of flavours for the bargain price of £15 per head. I had to try it for myself and not being sure how busy the restaurant at the Hub would be, I chose to dine at the Woburn restaurant and following this dining experience I have now made the most of their Tuesday offer on a couple of occasions. Last week my friend, her two children and I arrived at the restaurant a little after 6pm and despite not booking were quickly seated. Having enjoyed the mussels previously as a starter in the evening set menu, we were unaware of the variety of flavours of mussels on offer in the Mussel Madness deal. This deal also includes a drink with a choice of 175ml red, white or rose wine, a bottle of beer or a soft drink. We were all keen to try out the Mac and Cheese mussels, though unfortunately the restaurant had already sold out of this flavour and my second choice of Sea Salt and Szechuan Pepper, therefore we all opted for the original marinière. Our waiter was friendly and my friend’s son was keen to try all the different flavours with the waiter joking that he would pay for his meal if he managed to beat the record of five portions of mussels, which of course to our own amusement and the relief of the waiter’s wallet he didn’t! We made the most of the deal and managed a second portion each with my choice being the Thai Red Curry flavour. This flavour is not for the faint-hearted as my friend found out when she tried it; with the piquant taste from the red chilli’s evident from the first taste. I thoroughly enjoyed the variance from the equally appetising original marinière portion with its white wine and garlic taste complementing the taste of the mussels. For those who have not dined at a Loch Fyne restaurant, a great choice of meat dishes are also available and I thoroughly enjoyed the pork belly on my previous visit. Whilst not visible or always provided, a lunch and dinner set menu is available each day offering two courses for £15 and three courses for £18. Loch Fyne may not be the first choice for those with children who are fussy eaters,though the children’s menu is very good and accommodates most tastes as well as provides a good introduction to broader food tastes with a similar two/three course set menu available. 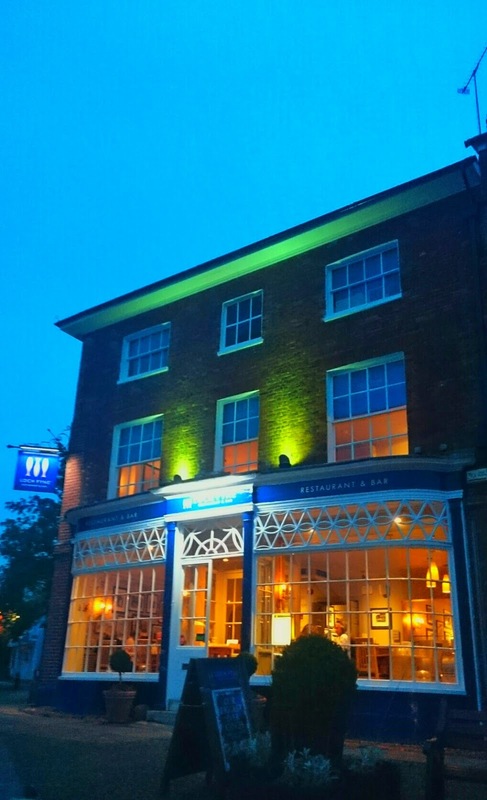 The camaraderie of the waiter, delicious mussel dishes and quaint location in Woburn with exposed brick and rustic interior made for a delightful evening of dining for all the family.